Vinyl wrapping on cars? 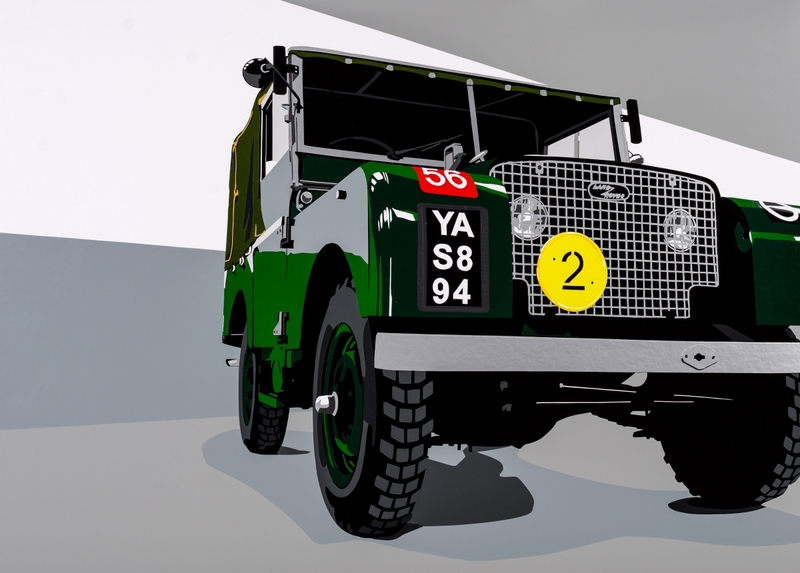 Yeah, it’s popular but artist, Joel Clark has flipped the idea on its head to create a number of distinctive pieces inspired by his love for all things automotive. Using the skills he learned working for a sign-makers in the early Nineties, Clark’s artwork is made using hand-cut vinyl. 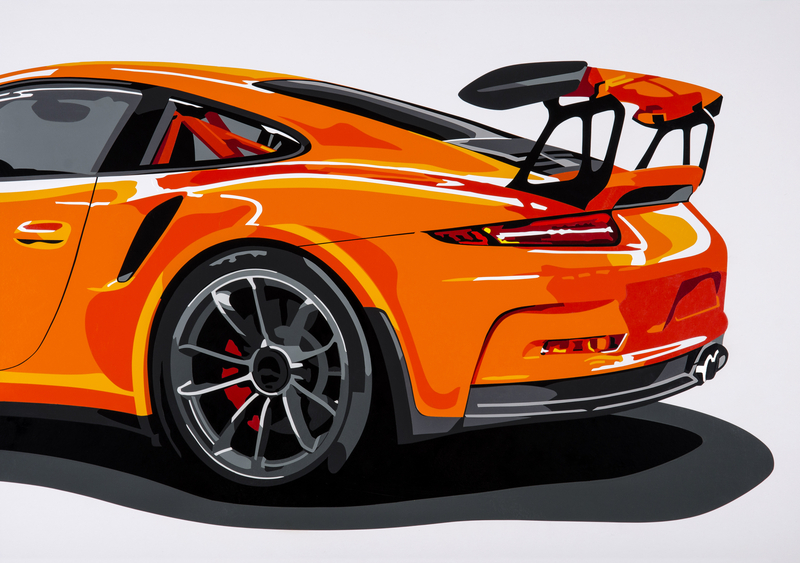 The results are bright and bold yet, Clark’s eye for detail means the contemporary style is also matched with an impressive realism, especially in his more traditional depictions of automotive icons (such as the latest Porsche 911 GT3 RS). On top of the vinyl boards – of which prints are also made – Clark has turned his distinctive style to 3D pieces too. Our personal favourite? 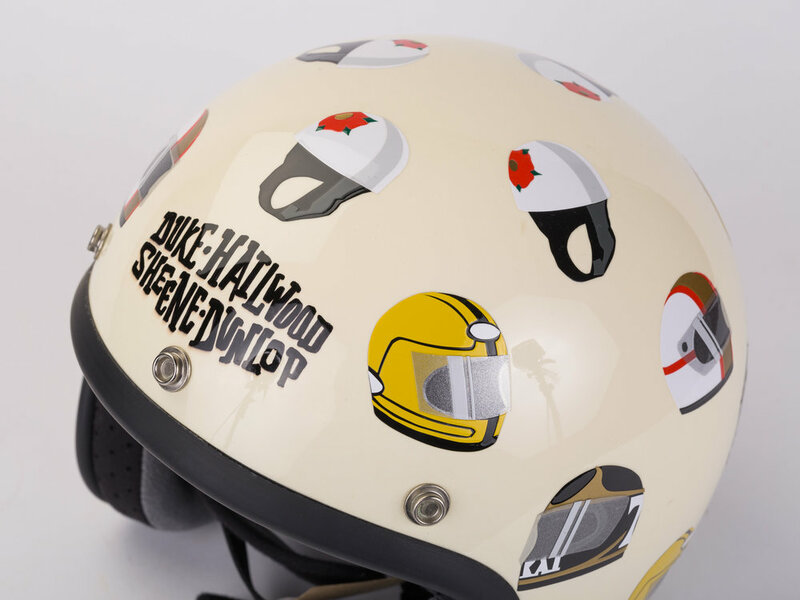 The open-face skid lid plastered with the helmet designs of motorcycle racing legends.